When the term Black Friday comes to mind let’s have a moment to reflect, shall we? The technical term Black Friday is said to have originated back in 1961 in Philadelphia, where it was used to describe the heavy and disruptive pedestrian and vehicle traffic that would occur on the day after Thanksgiving. More than forty years later, as the phrase became more widespread, a popular explanation became that this day represented the point in the year when retailers begin to turn a profit, thus going from being "in the red" to being "in the black". So what does this annual shopping extravaganza bring to mind? To me, it means thousands camping out at big box chain retailers eagerly waiting to snag the blowout deals on Flat screen TVs. Or how about a mob of weary shoppers trampling over each other once the store associate opens the door to the store? Don’t even get me started on the standing in line for hours on the checkout line. Adobe Digital Insights reported that Black Friday online sales crushed it in 2016, raking in $3.34 billion. That’s a 21.6 percent increase year-over-year, and $290M higher than what analysts estimated. Cyber Monday 2016 online sales were again better than Black Friday, with a reported $3.45 billion in online sales. That represents a 12.1 percent increase in total Cyber Monday online sales year-over-year. Small Business Saturday, which falls on November 25, focuses on supporting small businesses. Here’s your chance to appeal to consumers looking to support small and local businesses for their holiday shopping. Customers like myself are always looking for unique gift items. Here's a change for your brand to shine! This event falls on the Tuesday after Thanksgiving which happens to be Tuesday, November 28th. While everyone’s coming out of their turkey dinner coma or wondering why they bought themselves 5 Kindle’s on Black Friday, this day draw customers to your online store with the promise of giving back. Typically on Giving Tuesday, “offers” are in fact in the form of donations to charity or one-to-one campaigns. Online-only store owners can benefit from creating a pop-up store or shopping event especially when strategically aligned with holiday shopping. Use this opportunity to get out from behind that laptop of yours and connect with customers (new and old). You can also partner with over businesses to cut down on your overhead costs. 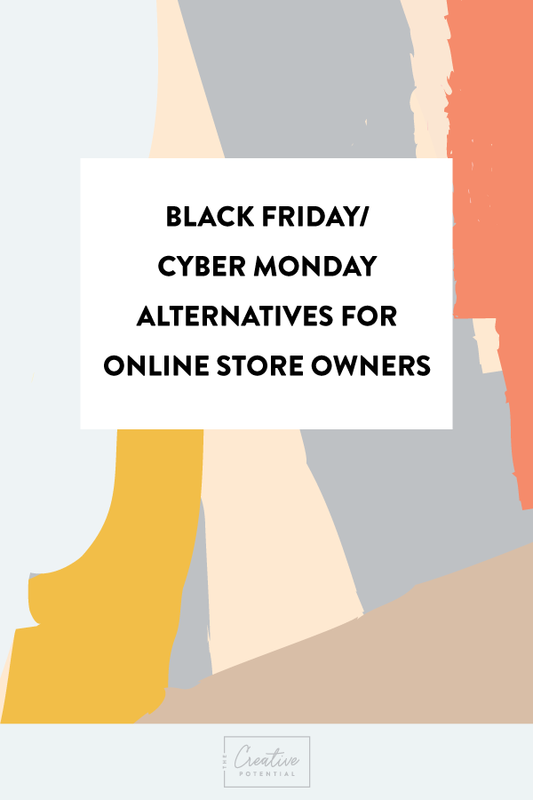 So no matter if you participate in the Black Friday or Cyber Monday frenzy, or opt to go a quieter route with some of the options above, have fun creating excitement around your brand this holiday season!